Tomorrow is Friday and thank goodness, I’m looking forward to a little fun this weekend! Sunday I went for a lovely 6-mile run and met some new friends along the way. 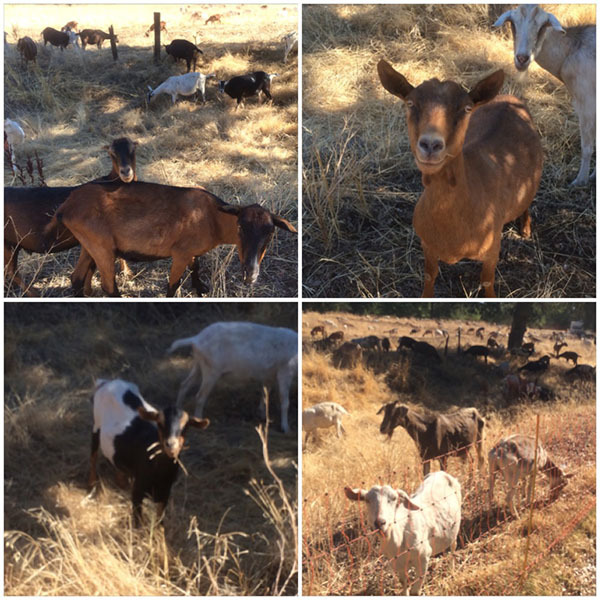 With the drought, it’s still goat grazing season here trying to minimize dry grass with all the wildfire warnings – scary, ugly times. But these guys are adorable and came right up to the fence to greet me. I also tried a package of Trader Joe’s Vegan Soy Chorizo. Apparently this product was vegetarian for awhile, disappeared for awhile, and came back as a vegan product. I grabbed it to try something new and I liked the simple ingredient list. I sauteed it with chopped kale and broccoli with a little water for a simple dinner and it was great! 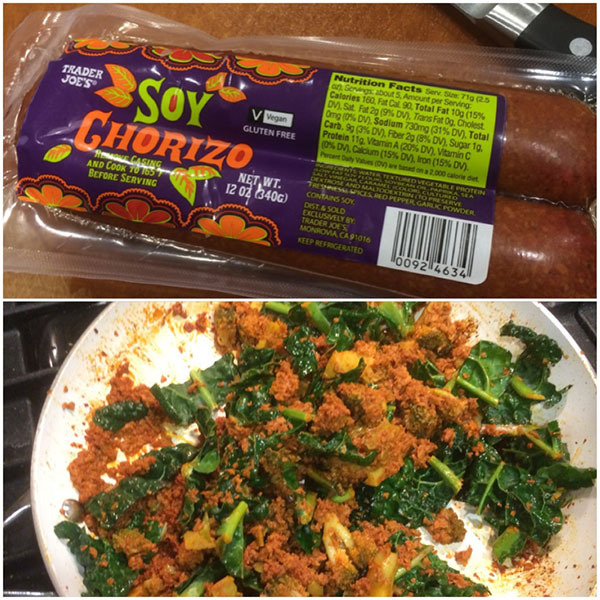 The soy chorizo was loaded with enough spice and flavor to carry the veggies and I could have added more veggies! I also kept it simple this week with another oil free stir fry with chopped tempeh, broccoli, bell pepper, and more kale. I just used a little water, sriracha sauce, and tamari. Yum. I did get a little creative with a feisty sweet curry dressing that uses banana to add a creamy texture and a playful sweetness. 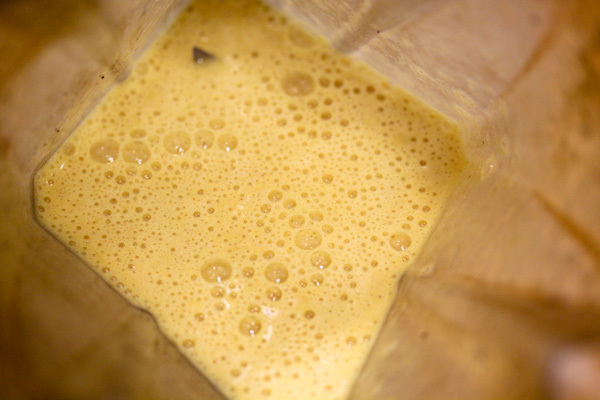 I adapted it from a curry dressing I found online awhile back that was kind of a train wreck with mayonnaise, yogurt, and syrup to achieve a sweat creamy texture. Why when a banana can do it simpler, cheaper, and much healthier? 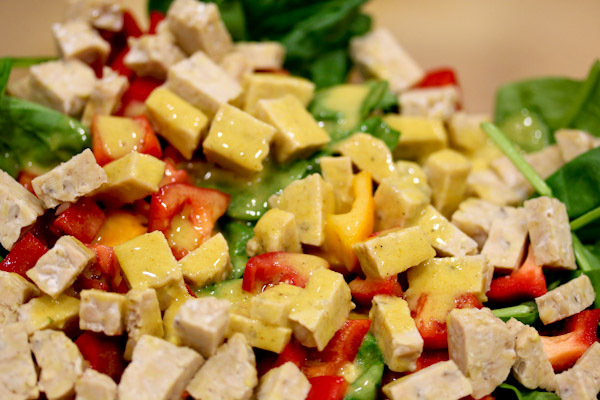 The texture is light and creamy, perfect for coating a spinach salad. 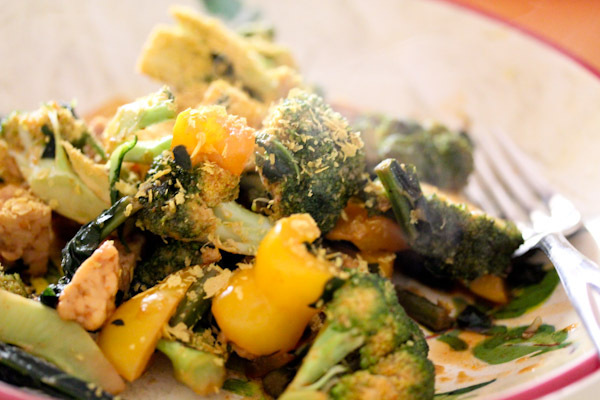 The flavor has kick, a tangy and sweet curry kick. 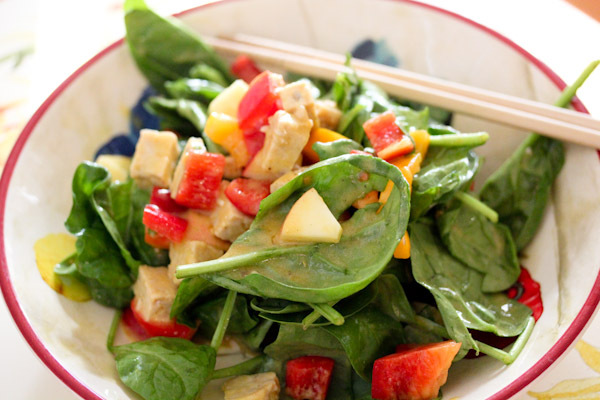 It was perfect on a spinach meal salad with chopped tempeh and apple. They are so cute! LOVE their smiles! Congrats on the run, too!